Company governance: sham or effective? Nearly three years ago, Atomic started experimenting with a new form of governance. Today, our Board approves nearly everything brought in front of it. Does this mean we’ve created a rubber-stamping sham of governance? Is Atomic run as a dictatorship with a thin veil of employee participation? Has our experiment in renewable governance failed? I don’t think so. To the contrary, I think it’s been a huge success. In this blog post I’m going to explain our experimental governance structure, as well as why I think the high approval rate of decisions and initiatives is an indication of success. In November 2010, we formed an internal group of advisors as an experimental governance structure. Since we were experimenting, we kept this structure out of our operating agreement. Our Board consists of eight senior staff, all of whom are employees with a significant ownership position. The Board meets monthly, or whenever events necessitate. Unlike similar entities, we don’t have external advisors on Atomic Object’s Board. Four of the Board positions are currently held by senior developers/owners while the remaining four positions are held by our Business Manager, Mary O’Neill, myself, and Vice Presidents Shawn Crowley and Michael Marsiglia. Shawn, Mike, and I effectively operate as an executive committee of the Board. We run the meetings and, because of our role in the company, are the most likely (though not only) people to bring questions, issues, and initiatives to the table. Our experimental Board structure was driven partly by our efforts toward succession planning, and partly by the effect of broadening the ownership of the company. As I write this, 65% of our employees have some ownership in the company, founder ownership is down to a total of 53%, and three people, including me, act as the leadership team for Atomic Object. We borrowed our decision making process from another successful Michigan company, Zingerman’s Community of Businesses: For any given decision, everybody on the Board needs to be at a level of at least 80% support; once that level of consensus is achieved, the decision is made and everyone on the Board is expected to support the decision 100%. Our Board is a “working” board—we expect everyone on the Board to help implement the decisions we make. The most recent modification we’ve made to our experimental governance structure is to hold Board meetings in an open fashion and share the minutes with the entire office. We typically have between four and ten non-Board employees observe meetings. I’m going to describe a somewhat idealized scenario for our Board’s interactions. Since each situation and Board meeting is different, not every issue goes through this entire process. Someone (typically myself, Mike, and Shawn), brings a question or opportunity to the Board during a regular monthly meeting. In this first consideration of the question, we strive to discuss only the problem or opportunity, and not a solution or particular decision. This is a time for questions and exploration, i.e. The Investigation Phase. Ideally, we achieve agreement on the dimensions of the problem or opportunity, and why it matters to the company. We do not take or expect any particular action at this time, other than to generally agree on further research. Following this initial meeting, the person or people who brought the issue to the Board will continue to investigate, learn, work on, and prepare a plan of action. Since our Board meets monthly, there is plenty of time for informal conversation and participation by the Board and other employees before the next formal meeting. This “offline” discussion is a critical element of our process for two reasons: 1) it broadens the perspectives on the question, and 2) allows time for due consideration. During the phase when a problem or opportunity is being considered (the investigation phase), the executive committee of the Board provides regular updates to the Board, and often the company as a whole, to keep the issue front-of-mind and share any incremental knowledge gained. Eventually, a concrete, detailed proposal for action is brought before the Board for discussion and approval. The final meeting before a decision, which may be a regularly scheduled or event-driven meeting, involves the Board implementing the “80% agreement, 100% support” rule. Everyone either agrees, and we’re decided, or those who are in disagreement must bring an alternative plan before the Board. Our experience so far is that our Board has consistently approved decisions brought before it during this final decision meeting. 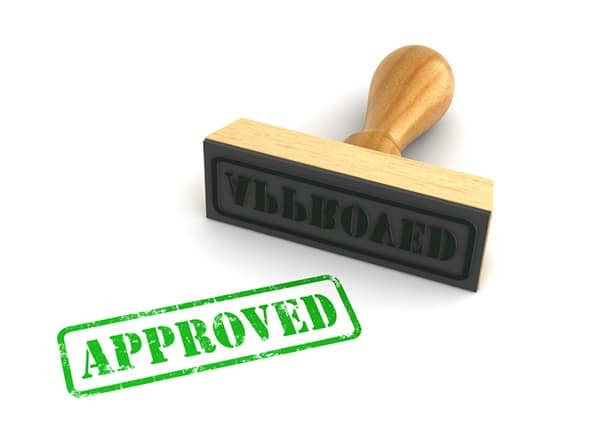 On the surface this might seem like the Board is a rubber stamp of approval, i.e. a non-value adding body. To the contrary, I believe the Board is playing a vital role in Atomic’s governance. The existence of the Board, and the structure of our deliberations, adds value to our decision making by their very existence, not because of some final vote at the end of the process. Because of the existence of our Board, and the need for their eventual approval, the executive committee (the party most often bringing issues and opportunities forward) considers a broader range of perspectives than they might otherwise. Knowing that every issue will be considered, reviewed, and worked on by up to eight people, and discussed broadly with everyone in the company, provides an interesting check and balance on the power of the executive committee, not because of the final vote, but because of the process itself. Considering the process, it would be odd to arrive at the final decision point and not have the agreement of the Board. By living our fifth value mantra, and following our process, we’ve shared what we’ve learned as we learn it, which, in turn, means no surprises and a more participatory decision making process. The high rate of approval of decisions and initiatives, far from being a sign of failure or irrelevance, is a sign our Board is working well and our decision making and implementation is stronger because of it. The value of our governance structure and our Board isn’t in that final vote, it’s in the process that gets us from issue to proposal to support.